Sept. 11 transformed the world of American ideas in many ways--fueling sharp debates about America’s role in world affairs, about the clash of religions, about freedom and security. Money flowed into counter-terrorism research. Universities hired experts on Islam and the Middle East; students flocked to courses on any subject they thought might help them understand what had happened. The attacks also began to reshape our knowledge in ways that didn’t make headlines, revealing gaps in our knowledge of terrorism, of the costs of security, of the human response to trauma. Stirred to help, specialists in one field after another began asking new questions--using their expertise, whether it was mathematics or psychology, to puncture the veil of shock and mystery surrounding the events of that day. 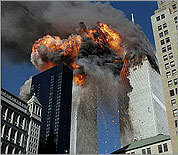 What follows is a sample of the research and thought that have been undertaken as a result of the Sept. 11 attacks. By no means should it be taken as an attempt at a comprehensive survey--nor even as a “best of.” Some questions remain maddeningly unanswerable, but 10 years later, this snapshot gives a sense of the countless ways that 9/11 changed not just how we engage with the world, but what we know about it. 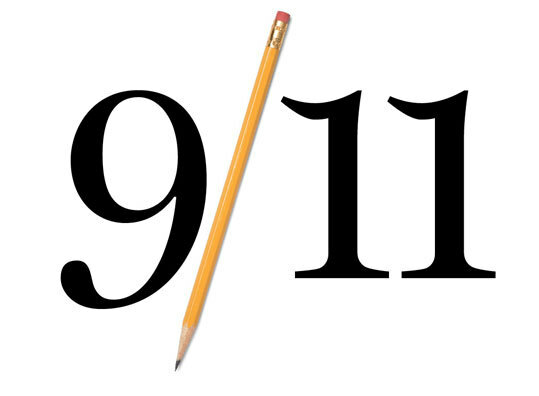 The mathematics of terror As a national event, the Sept. 11 attacks weren’t just unusual--they felt impossibly random, something that could never have been predicted. Aaron Clauset, at that time, was just a young math whiz who was only starting to think about applying to graduate school. By the time he entered the computer science program at University of New Mexico a year later, Clauset had developed an interest in the math used to describe so-called complex systems-- think anthills and social networks--and wondered whether the same tools might help detect large-scale patterns in unexpected places. Clauset eventually realized that the mathematical models he was working with could be applied to terrorism. Starting in 2003, Clauset and a colleague, Maxwell Young, analyzed a database of 10,000 terrorist events that had taken place around the world over the past 40 years. What they saw was an improbably clean pattern in the data that no one had noticed before--a pattern that could theoretically be used to predict where terrorist attacks would happen in the future. One of Clauset’s surprising findings is that the probability of an event as big or bigger than 9/11 between 1968 and 2006 wasn’t tiny: It was a substantial 23 percent. Clauset compares himself to a seismologist looking at earthquakes: Though earthquakes are still extremely hard to predict specifically, geophysics can tell us far more than we used to know about when and why they occur. Now an assistant professor at the University of Colorado at Boulder, Clauset still studies patterns in terrorism, and is working to sharpen what we know about how they connect to political and social trends around the world. Post-traumatic resilience Volunteer therapists and social workers streamed into New York City in the wake of 9/11, providing counseling they hoped would reduce people’s chances of developing post-traumatic stress disorder. Many of them came wielding a then-popular treatment technique known as “debriefing,” built on the notion that people should talk about what they’ve been through instead of bottling it up. Some psychologists warned of a national epidemic of PTSD, arguing that even people who had watched the events on TV--as opposed to witnessing them firsthand--were at risk of permanent psychological damage from what they’d seen. In the 10 years since 9/11, thanks in part to research and advocacy on the part of trauma specialists like McNally and Bonanno, debriefing has steadily fallen out of favor. In early 2004, after the earthquake in Iran, the World Health Organization published a bulletin advising against its use in connection with natural disasters and other emergency situations. So far there is no consensus among psychologists on what should be done instead, but according to McNally and Bonanno, one technique that’s winning significant support is a lighter-touch approach known as “psychological first aid.” Though psychologists are still trying to figure out exactly how to distinguish people who are at risk from those who aren’t, it has become widely accepted that while the trauma of the attacks was real, it turns out human resilience is, too. The social attacker In 2005, when Max Abrahms came to Harvard’s Kennedy School of Government as a research fellow, the school was still adjusting to the surge of interest in terrorism that had taken hold after 9/11, among both students and the public. The same was true all over American academia. As Abrahms remembers it, most political scientists trying to address terrorism were talking about it in the classic terms of foreign affairs, the realm of political conflicts and nation-states. Abrahms believed terrorism required a new approach, and questioned his colleagues’ assumptions that it could be understood in terms of the classic machinery of international politics. In 2006, he published a paper in the journal International Security announcing his deceptively potent insight: As a political tactic, terrorism doesn’t work. The record shows that terrorists hardly ever get what they want from the governments they attack, Abrahms found; on the contrary, governments are much more likely to react to terrorism by digging in their heels against whatever the terrorists are demanding. Abrahms’s observation that terrorism leads to political failure forced a crucial question: What does make terrorism attractive? He has argued that even for terrorists who claim political goals, the real answer is psychological: More than anything, terrorists need to be part of a social group. As strange as it sounds, Abrahms finds that people take up terrorism for the same reasons they might participate in, say, a bowling league. “Two things predispose people to becoming terrorists: social isolation, and knowing someone, having a friend, who is somehow affiliated with a terrorist group,” he said. It’s not about achieving political goals at all, but rather, about how being a terrorist makes a person feel. Even searing memories change Everyone remembers where they were on 9/11--whether they were at school or at work, with friends or alone. Like the Kennedy assassination, or the explosion of the space shuttle Challenger, the attacks have stayed fresh and vivid in the memories of anyone who lived through them. But how well have those memories been preserved, really? What they’ve learned so far is that we don’t remember 9/11 nearly as vividly or accurately as we think. Hirst showed that people’s memories over time have become collections of immediate experience, invented experience, and details imported from articles and TV and talking to friends. We also tend to remember our feelings wrong, Hirst says, because we assume that the emotions we feel now have stayed the same since the beginning. What we didn’t know about the Middle East If there was one instant shift in American consciousness after 9/11, it was the overnight spike in interest in the Middle East and Islam. Suddenly, TV news anchors were making pronouncements about the Arab world and discussing the Koran; reporters were traveling to the region so they could explain to their readers where the attackers had come from. Academic specialists in Middle Eastern studies found themselves in high demand, and the field was suddenly under a massive spotlight. “It became clear there was a lot of ignorance about the Muslim world, about Islam, about who these people who had attacked the United States were,” said Zachary Lockman, a historian at New York University and the author of a book about the evolution of Middle Eastern studies. Scholars began giving interviews, writing books for popular audiences, and teaching courses that promised to answer students’ questions about what had happened. Salim Yaqub, a historian at the University of California at Santa Barbara who studies foreign relations and the Middle East, said that after 9/11 he received regular invitations to speak at schools, community centers, churches, and synagogues. This slowed down his own research, he said, but he tried to accept as many of these invitations as he could. The attackers weren’t just “from the Middle East,” however; they emerged from a radicalized strain of Salafist Islam that the American public knew even less about. The movement’s beliefs--the ideology that drove Osama bin Laden, and which fueled countless other, less extreme political Islamists around the world--were rooted in a belief system and a history completely obscure to most Westerners. Hillel Fradkin had been studying radical Islam since the 1980s. After 9/11, he saw other people flocking to his field--scouring the history and the spread of Islamist beliefs, and asking questions about what its contemporary manifestation had to do with its past. In 2005 Fradkin launched Current Trends in Islamist Ideology, a new academic journal whose purpose would be to closely examine the beliefs at the heart of radical Islamism--to investigate the movement’s religious and political history, ascertain its core principles, and figure out the source of its appeal. Fradkin, a senior fellow at the Hudson Institute and the director of its Center on Islam, Democracy and the Future of the Muslim World, said the journal is part of a broader trend in Middle Eastern studies, as scholars in the West build a better understanding of a movement whose influence on nations from Pakistan to Saudi Arabia is still very much alive. Secure can be livable At first, the impulse was all about security: If Americans were going to feel safe in their cities again--take the elevator to work in skyscrapers, eat lunch in front of federal buildings--public spaces were going to have to be different. Barriers, fences, and bollards began to be installed all over Washington, New York, and Boston. New government regulations called for all new federal buildings to be built at a 50-foot remove from the street so that vehicles couldn’t get near them. In the John Hancock Tower, the tallest building in Boston, the public observation deck on the top floor was closed after the attacks and has never reopened. A few months after 9/11, David Dixon of the Boston-based firm Clancy Goody was invited to a conference, cosponsored by the American Institute of Architects and a national research lab, about how city planners, architects, and engineers should deal with the new terrorist threat. Dixon recalls being horrified as he realized the extent to which security was now taking precedence above all other considerations in urban design. What made sense in the moment could have damaging long-term effects on the health of cities, Dixon realized. In the years since, Dixon and other urban designers have sought to weave together the demands of security and an active, open civic life. One solution has been to invent security elements that double as something else, Dixon said: For instance, an attractive fountain encourages people to gather around it while also preventing terrorists from driving a car-bomb through a plaza. An example of this kind of thinking can be seen in the new design for the elliptical public park in front of the White House, a space Washingtonians know as the site of public events like the yearly Christmas tree lighting and the Easter egg roll. After 9/11, the park was surrounded by fences and concrete jersey barriers--an unsightly symbol of fear and closure at the heart of a democracy. The new design, created by the architecture firm Rogers Marvel, calls for an open space whose security is ensured by a “ram resistant” barricade that visitors will be invited to sit on. Rob Rogers, one of the designers, estimated that the barricade will be engineered to withstand a speeding truck in the neighborhood of 15,000 pounds--but thanks to its design, visitors will notice it only as a long bench around the park’s edge. Benmelech set about analyzing terrorist organizations as economies, and individual terrorists in terms of their economic backgrounds. Benmelech found that terrorists were a surprisingly diverse bunch: Some came out of poverty, but many were well-educated members of the middle class, and it was these better-educated ones who were more likely to succeed in the most complicated missions, avoiding detection and actually realizing their plans. Benmelech’s conclusion was that, while their goals may be diabolical, terrorist organizations are a lot like other organizations when it comes to management: They have some exceptional employees who do all the high-end work, and are generally run according to rational economic principles. “What we have shown is that these organizations are not being run by lunatics,” said Benmelech. “They might have some crazy objective, but they are behaving in a rational way that is consistent with the way other organizations that are trying to achieve other goals operate.” Ultimately, such insights could become part of smarter strategies to disrupt them. Other economists have taken different approaches, including helping the United States weigh the costs and benefits of security spending. “You look at all these possibilities, and the problem is the cost of trying to do preventative soon exceeds the GDP of the United States,” said Gary Hufbauer of the Peterson Institute of International Economics. John Mueller, a political scientist at Ohio State University and coauthor of the new book “Terror, Security, and Money,” has crunched the numbers and argued that the war on terror has been spectacularly inefficient: According to Mueller’s calculations, the United States would have had to stop four major bomb plots per day since the war on terror began for the security expenses that have been incurred to be considered cost-effective. Such arguments, of course, inevitably run up against national politics and the emotions surrounding the issue of national security. But whatever policy makers decide, economics must be part of the conversation. “Someone has to do some ranking of what you’re going to try to actually deal with,” says Hufbauer. Religious extremism’s political roots Who becomes a religious extremist? That was one of the questions Jeremi Suri, an international historian at the University of Texas at Austin, wanted answered after the attacks. What could explain their radicalism, and what distinguished them from other believers? Some scholars came at this question with their eyes trained on Islamism. Suri, whose new book is about nation-building in regions where religious extremism is rampant, took a broader view, seeking to compare Islamic extremism to analogous movements that have sprung from other religions. What Suri has concluded is that, although religious extremists do differ based on theology, they have a lot in common as well. Extremist leaders tend to come to power in similar ways, stepping into political vacuums after secular government has failed in one way or another. Their followers are more likely to come from poor regions, radicalized by deprivation and political exclusion. Suri’s view of religious extremism as an outgrowth of politics as much as theology could help offer a clearer path for how democracies like the United States should be dealing with it--and also chips away at the clash-of-religions narrative that has animated hardliners around the world.